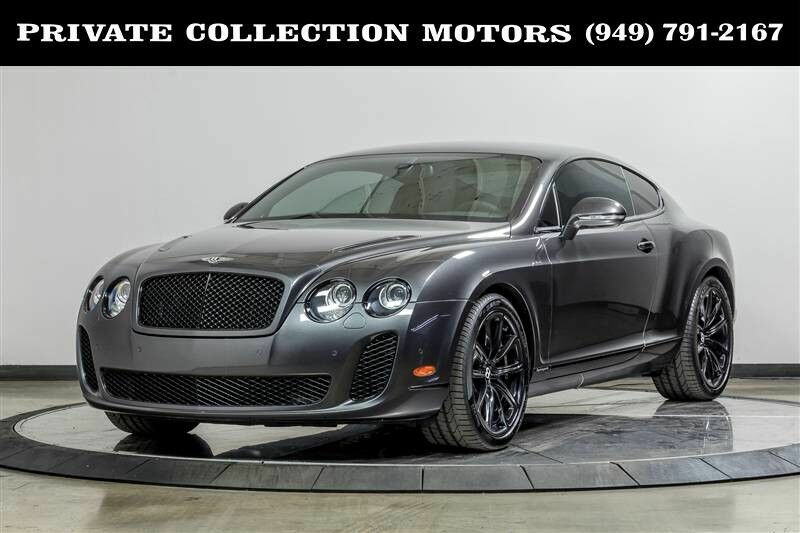 This 2010 Bentley Continental Supersports is proudly being offered for sale by Private Collection Motors. It is finished in a Quartzite exterior followed with a Beluga w/Porpoise Stitching. The styling of the Supersports will never be described as subtle. Bentley describes the new Continental Supersports as a fusion of extremes. Under the hood beats a 6.0L Twin-Turbocharged W12. This Bentley was purchased new from Bentley of Arizona and comes complete with 1 key and owners manual. Stop by and visit our indoor showroom anytime Monday - Friday 10 am to 7 pm Saturday 10 am to 6 pm and Sunday 10 am to 3 pm. Let our 100% eBay feedback speak for our cars and experienced sales staff. We welcome pre purchase inspections and trade ins too. For our out of state buyers, we can help arrange shipping to anywhere in the US. For more information please contact our experienced sales team at 949-791-2167. We look forward to hearing from you.